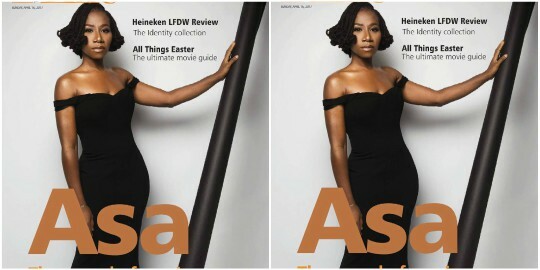 Nigerian French singer, songwriter, and recording artist, Asa, graced the cover of the latest edition of Guardian life magazine, and the singer's photo on the magazine's cover is stunning. Born Bukola Elemide, her stage name "Aṣa" means "Hawk" in Yoruba. Nigeria. Twenty years later, Aṣa returned to Paris where her life as an artist took off. 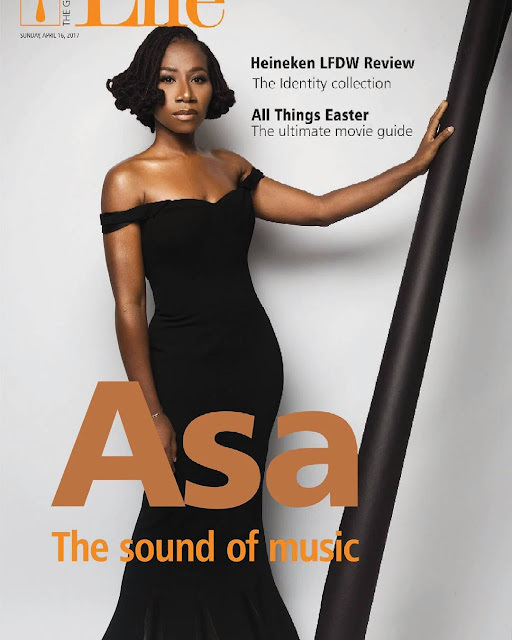 Whenever Asa came home from school in Nigeria, she discovered musical acts like Erykah Badu, D'Angelo, Raphael Saadiq, Lauryn Hill, Femi Kuti and Angélique Kidjo. This was while she was in pursuit of educational excellence, and these musical acts are whose footprints she dreamed of following.